Mereon is an approach to the unification of knowledge that relies on whole systems modelling. It is a scientific framework that charts the sequential, emergent growth process of systems. 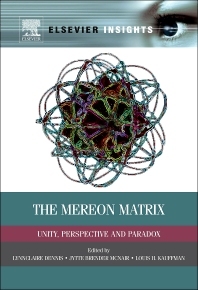 A dynamic structure, Mereon provides insight and a new approach to General Systems Theory and non-linear science. Mereon evolved through a new approach to polyhedral geometry and topology that is related to the dynamics of the polyhedra. It is related to a large number of systems, physical, mathematical, and philosophical. In linking these systems, Mereon provides access to new relationships among them and combines geometric and process thinking. This book provides the fundamentals of such connections for an ongoing search for order, directionality, and diversity that is found in this unity. It is written in clear language that manages to connect diverse disciplines and in doing so, makes a complex system easily accessible and understandable. It will be of interest to mathematicians, geneticists, and all those interested in researching unity in science and astrobiology. Elaborates on several important aspects of General Systems Theory including nonlinearity. scientific findings that are congruent with or expanded by Mereon. Offers a new way of modelling that can be applied across the sciences. Mathematicians, geneticists, engineers, and other researchers interested in systems and modeling. For more than twenty years Lynnclaire has worked with leading mathematicians and scientists the world over to identify the points and landshapes in common for living and life-like systems. 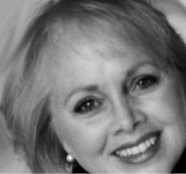 With the heart of a visionary and the mind of a scientific pioneer, she has worked to understand, translate and apply the knowledge known as the Mereon Matrix. She has evolved the knowledge of this mathematical pattern that charts Nature’s sequential growth patterns, to the point where it can be used to organize social systems. Focusing on individuals and organizations, she has designed applications based on this whole system process for personal development and educational imperatives. The applications are helping adults and children discover how to intentionally grow and create flow while riding the never-ending wave of change. Participants report experiences that are meaningful and measurable, changes in attitude and action catalysing benefits that are tangible and enduring. She has worked with renowned geometer Robert W. Gray since 1998 to build computer models of how geometry spins and ties two versions of a trefoil knot; years of work is now observable in a natural medium, water, using the newest cymatic technology, the CymaScope. The precision in the pattern match between the cymatics and the computer modelling is stunning.